Judicial Watch, a government, legal, and judicial Watchdog Group, recently released a document they obtained from a Department of Defense training manual. The document, like so many other recent government documents we’ve reported on, sets out to inform members of the military that it’s their duty to combat extremism in the military. 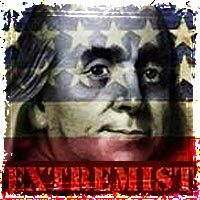 While I would agree that combating extremism is a great idea, especially after the extremism that caused the Fort Hood Terrorist Attack, who the document considers extremists is a bit concerning. Extremists often predict dire or catastrophic consequences from a situation or from a failure to follow a specific course, and they tend to exhibit a kind of crisis-mindedness. It can be a Communist takeover, a Nazi revival, nuclear war, earthquakes, floods, or the wrath of God. Whatever it is, it is just around the corner unless we follow their program and listen to their special insight and wisdom, to which only the truly enlightened have access. WOW! So according to the Department of Defense, anyone who’s crisis-mindedness and prepares for an earthquake is now an extremist who must be rooted out of the military. But that’s not all folks, let’s not forget the patriots – I mean come on, we can’t have any of those in the military. Even more disturbing is how the military seems to be trying to rid itself of patriotic Americans. The training manual’s most disturbing content comes when it defines our founders as extremists, who would not be welcome in today’s military. The document then goes on to warn military members that it’s their duty “to help combat extremism in the military. With that in mind, you really have to wonder what our government is trying to turn our military into. This isn’t the first time the government has sighted the founders and patriotic Americans as extremists. In fact, in a report prepared for U.S. Attorney General Eric Holder and Homeland Security Secretary Janet Napolitano, the Southern Poverty Law Center asked the Federal Government to create a new inter-agency task force to track and take down conspiracy theorists, survivalists, “Patriot groups” and the “American radical right”. Not surprisingly, the Southern Poverty Law Center – a group who promotes hatred and targets conservative Americans – helped prepare both reports. Have A Patriotic Bumper Sticker? According to the Government you might be a Terrorist. Late last year we reported on a set of leaked documents, which were funded by the Department of Justice (DOJ). The documents actually suggested that people who display patriotic bumper stickers might be guilty of terrorist activity that warrants further investigation. It went on to suggest that people who reference the Bible, or talk about The Constitution of the United States, are possible extremists who need to be watched. We have a government that is declaring war on the thoughts, opinions and principles that founded this country. After seeing what they’re trying to turn our military into, is it any wonder why so many patriotic Americans are fleeing from our military? Isn’t the military and the Government that supports them the ultimate prepper? they prepare for war everyday they stock pile food for long term storage, they buy up large amounts of ammo, they train people to die for their country. And they call us extremists. I’m reading that a big part of the government stockpiling is actually them stocking the FEMA camps. They EXPECT an economic collapse. DHS is buying up large amounts of ammo to be able to control the public when SHTF. Anybody else seeing this? or am I overreacting? I’m scared. It’s one thing to “prepare”, but how will we survive if we’re rounded up into FEMA camps? To me, that means the only thing we can do to “prepare” is to learn a skill, make yourself valuable. No Sherri, you are not the only one who sees this… And I am sure that by now, even if you only pay attention to the world happenings just a little bit, you can see that the Sh!t is going to hit the fan VERY soon. If the Republicans win the Senate and Keep the House, I will bet ANYTHING that that is when obama will do something to incite maybe Race Riots or something like that so he can declare martial Law. If the Republicans win, I would not put it past that Muslim in the White House to declare Martial law, at which point he can dismiss the both Congress and Senate Then dismantle the bill of rights and our amendments, Why has Homeland security purchased over 23 Billion rounds of ammo, go on some of the food prep web sites, a lot have been sold out over and over again, I called one company, woman in Customer service told me Federal Govt bought them out! WHY ? the government is buying up all the guns and ammo so we cant..i meen just give it some logical thought…. there also buying up all the food supply’s so people will still be dependent on the government to eat and drink. kinda makes the FEMA camps a good choice because people will be safe from all the “EXTREMEST” once martial law is declared because of the financial collapse. my opinion..
let me clarify my wording about the FEMA camps because they are by no means a safe or good place to go.. just ask yourself what hitler did in ww2 at his concentration camps.. these FEMA camps are no different. Wow, so they actually want to pit themselves against our American forefathers? Slippery slope when you start asking people to pick sides between the cronies of today’s gov machine who take away our liberties and the people who earned them all for us at the dawn of our nation’s independence. Great post Rob–thx for passing along. as an active duty marine, prepper, and all patriotic person. this makes me extremely uneasy about my employer. and makes me wonder about what might happen to me and other service members like me in the near future. well… ever heard dont ask dont tell, Now its dont tell even if they ask! i do not personally know any preppers personally, and I dont talk about it the idea of prepping to any around me, If I did have preps, I would not brodcast that I did. After all we live in the land of fruits N nuts! Be forewarned; If you go into a fema camp, you will loose all your freedoms. And you wont be leaving there unless this totalitarian government says that you can. I’m taking all actions needed to stay out. The collapse is real. ‘real soon’. With major government confiscation of all assets. Our money will be worth junk.